Indian Public sector oil companies have announced a cut in petrol price of Rs. 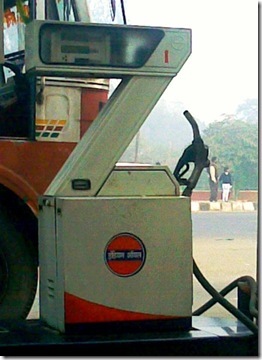 2.46 per litre across Indian starting from 29th June 2012. For past few weeks, the prices of International crude oil has been at much lower levels compared to the time when the prices of petrol were hiked in India by sharp 10% which was announced on 24 May 2012. This abrupt hike of 10% in one go created a wave of economical and political protests from all wakes of Indian society, there have been Bharat Bandh Protests by various trade unions, various political objections raised over the price rise. From then this is the second major cut at the central Govt. level. After the recent cut in the petrol prices, the effective prices of petrol per lire in new Delhi will be Rs. 67.78 per litre down from Rs. 70.24 per litre. This is a quite conservative price cut considering the fact that the prices could have been cut by up to Rs. 4 per litre considering the present prices of crude oil. After the major hike on 24th May 2012 which was about Rs. 7.50 per litre, there has been state level price cut on petrol announced by many state governments including Delhi. On 2nd June 2012 the pieces of Petrol were cut by Rs. 2 per litre across India. Even after the price cut announced on 2nd June, there was a scope of about Rs. 4 per litre cut as assessed around the mid of June 2012 but it was not announced at that time for some reasons. Now after a lot of anticipation, the prices have been finally cut effective from 29th June (midnight 12 AM). As per the economists and experts, there can be a further cut but the same has not been done at this time because the value of Rupee against dollar is very weak and volatile which may cause trouble in coming weeks and may put oil companies in trouble if the crude prices rise or the value of Rupee fall against dollar. We will keep an eye on the petrol prices, stay tuned for latest updates.